Coachella is a festival of outrageous sights and sounds. Yeah, the music is great, but also there are so many gorgeous sun-kissed goddesses out there. They are just out there having fun flaunting their perfect nail and hair. How does one manage to stay so perfect in the middle of the desert! That is the power of packing the right products. If you are going to Coachella this year, know that it isn’t your average music festival. You will be spending days under the sun. So, set aside your regular beauty essentials. Coachella calls for a full-on upgrade. Here are the beauty products you must pack for the festival. Colorado dessert is quite unforgiving. It may give you the tan you always wanted, but you don’t have to risk a severe sunburn. Packing a sunscreen should be your first instinct. 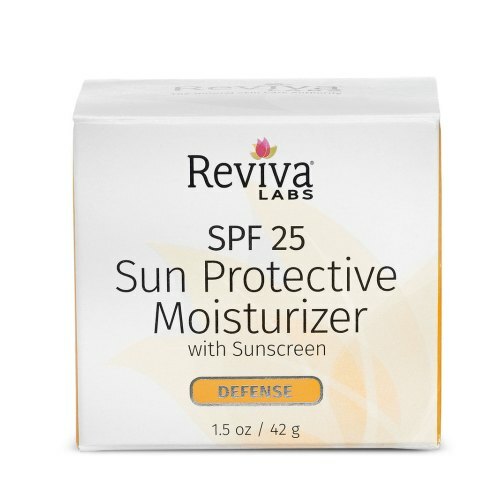 Our best pick in the category is the Reviva Labs SPF 25 Sun Protective Moisturizer. Say hello to your protective travel buddy. This moisturizer based sunscreen is your best defense against the sun. It is a non-greasy moisturizer that will prevent dry and parched skin. It is a nourishing, hydrating, and anti-aging formula that wouldn’t let the sun dehydrate your skin. California heat can make the best mascaras melt and settle under the eyes. The last thing you want at Coachella is raccoon eyes. So, swap your everyday mascara with something that is not just intense but also long wear. 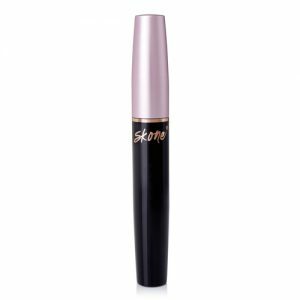 Skone Cosmetics has the answer. Meet the meltproofSkone Cosmetics Luxe Waterproof Mascara. Whether you are in an awfully dry desert or in a rainforest, it doesn’t budge, doesn’t smudge. Its longevity is comparable to some of the best tattoo liners around. And on top of it all, it offers a dramatic lift and great separation without feeling too heavy. Those celebrity Coachella selfies really make us wonder how they manage such a perfect pout. The desert air is extremely drying, and it can turn your lips in sandpaper. You need a heavy-duty hydrating lip balm to avoid that kind of nightmare. Luckily, we have the perfect product for you. Kiss Me Honey Cooling Mint Lip Balm lets you stay pout perfect for the most memorable Coachella selfies. This super hydrating, anti-aging formula will keep your lips moisturized, soft, and plump. You can use it for that natural, bare lip look or as a primer under any other lipstick. Works especially well with liquid lipsticks as most of them are terribly dry for Coachella. The best part is that it is a paraben and chemical free organic formula. Oh! You didn’t think about this one, did you? Considering the number of days you will stay, this is a must-have Coachella essential. A pair of tweezers will be your best friend at the festival. 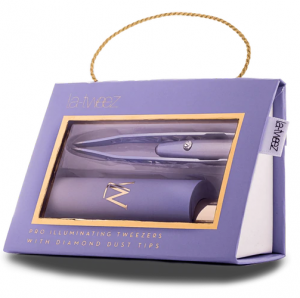 Your best defense against those unwanted brow and facial hair is LaTweez Sky Blue Omber Illuminating Tweezer with Diamond Dust tip. The diamond dust tip has an excellent grip and makes the whole process virtually effortless. The LED light illuminates the area to be tweezed so that you can get rid of each and every unwanted hair. Did we tell you it comes with a cute little carrying case with a magnifying mirror? What else can we ask for! Your skin will need a lot of pampering at Coachella. While the SPF and moisturizers will offer some form of protection, you will need some intense hydrating treatment every other day. Again, your regular skincare might fail you. And it’s not hard to pack those jars and tubes. Sheet masks are your best bets. 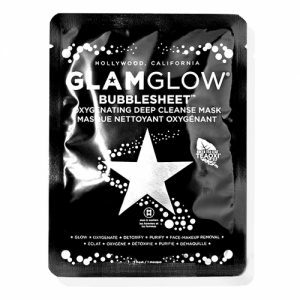 Our favorite is the Glam Glow Bubblesheet Oxygenating Deep Cleanse Mask. The pack of six is good enough for the festival. It is meant to be used once a week, but at Coachella, you might feel the need to use it more often. It will give you that healthy and hydrated glow in just three minutes. We love the bubbling sensation it creates upon application. At Coachella, tanning lotion is the last thing you need. That perfect glow you desire can easily be achieved with the help of a good luminizer. The Melanie Mills Hollywood Gleam Girl-on-the-Go Body Radiance Kit is one product we can’t imagine attending Coachella without. This one kit contains three of the bestselling shades from the collection. If you ask us, these shades are the perfect Coachella shades. They will make you glow like a true bohemian goddess. You can use it on your face and all over your body. The best part about these luminizers is that they are completely transfer-free.No more embarrassing moments! Long exposure to the sun can leave your skin dull and dead. It isn’t like the beautiful tan you want and doesn’t look flattering. You need to pack a brightening serum to keep the dull skin away. 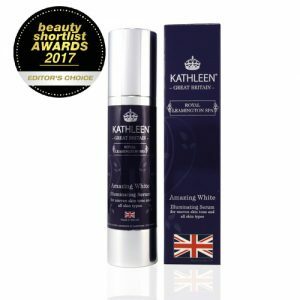 Try Kathleen Natural Amazing White Illuminating Serum this year, and it is guaranteed to become your lifetime Coachella essential. It contains 12 active ingredients that work together to improve your skin tone. It also contains hyaluronic acid and other anti-aging ingredients that improve the skin texture and elasticity as well. That pretty much answers all your Coachella skincare concerns, doesn’t it? If you are wondering why we haven’t mentioned a dry shampoo yet, here it is! NuMe Dirty to Flirty Dry Shampoo is our hot favorite these days because we have tested it one the greasiest and messiest of hair. The results were mind-blowing to say the least. 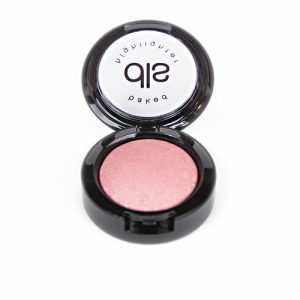 It is a cruelty-free and eco-friendly product with an impressive list of ingredients. It creates a healthy volume without over drying. The formula is created for all hair types. Can’t imagine going to Coachella without this one! There is no such thing as too much glow at Coachella – but if you are not sure which highlighter to pick and pack, let us share our top festival favorite for the year. Check out the Dirty Little Secret Baked Highlighter. It comes in eight gorgeous colors, and I love the ‘Sunkist’ for Coachella. It looks amazing on every skin tone. It’s one of the most buttery, blendable formulas. The best part is that it is cruelty-free and gluten-free as well. OMG! Can you really pick one nail color for Coachella? You can’t take your entire stash with you. So, if we have to pick one favorite for this year’s festival – that would be Londontown’s Notting the Fancy. 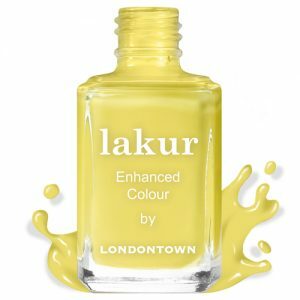 It is a cruelty-free, vegan formula that doesn’t harm your nails. A color that is simply perfect for the sunny Colorado desert. You can match it with almost any summer outfit. It looks just as lovely with a coral top as it does with an aquamarine skirt. And to top it all off – some long-lasting glitter for your lids. 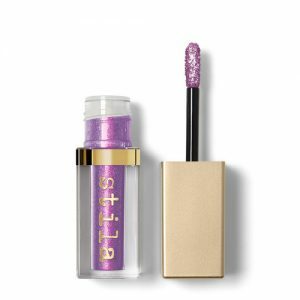 Stila makes remarkable glitter products for eyes. The Stila glitter and glow liquid eye shadow in the shade Gypsy is the perfect Coachella companion. If you think it’s too purple for the entire lid, use it just as a liner. One liner and Viola! Trust us this will look more dramatic than a full glam eye look.